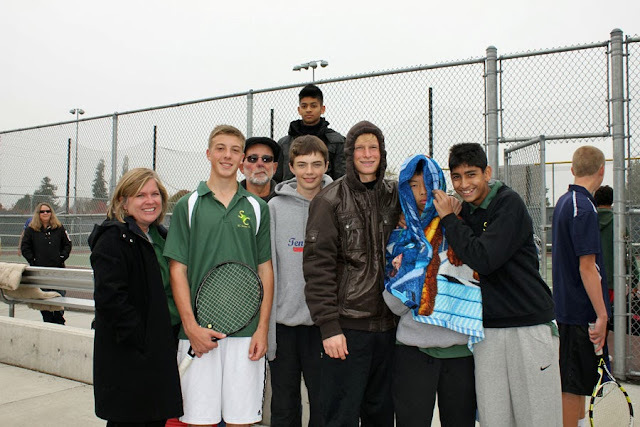 Shorecrest singles player Nishaant Limaye and the Shorewood doubles team of Stuart Schachle and Cameron McDowell won Wesco 3A South championships last week going into the Northwest District 3A tournament this week. Schachle and McDowell defeated Shorecrest's Andrew Copsey and Chris Sato 6-1, 6-1 for the South Division championship Wednesday, Oct. 23. The two teams will meet again for the District title Wednesday, Oct. 30, at Shorewood High School. Both teams will qualify for the State tournament in May. Limaye lost in the District singles semifinals Tuesday, but he will have a chance in Wednesday competition to play for the District’s third berth in the State tournament. At the Wesco 3A tournament last week at the Snohomish and Glacier Peak high school tennis courts, Shorewood placed all of its players in the top six. Thunderbird Senior Logan Keebler placed fourth in singles to also qualify for the district tournament. Placing fifth in singles was senior Jamie Wright. Alejandro Uvence and junior Scott Park placed sixth.